I don't hide, it's always good to receive emails from these. They give us strength. 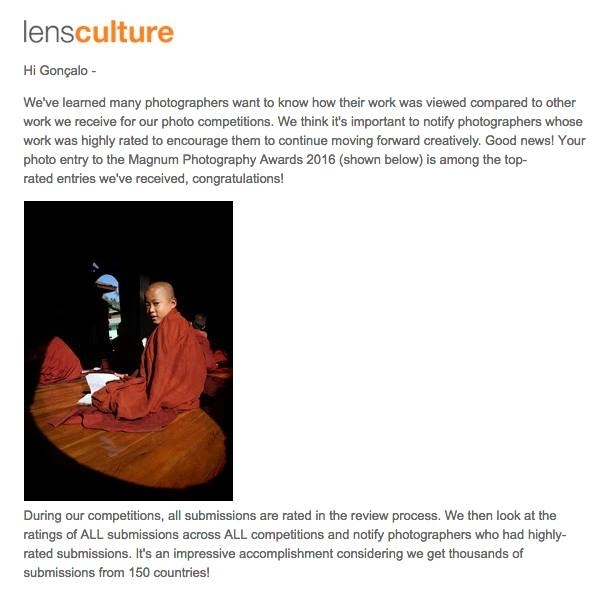 Thank you LensCulture! Let's keep the rhythm.